FREE delivery to United Kingdom in 5 - 10 weeks. 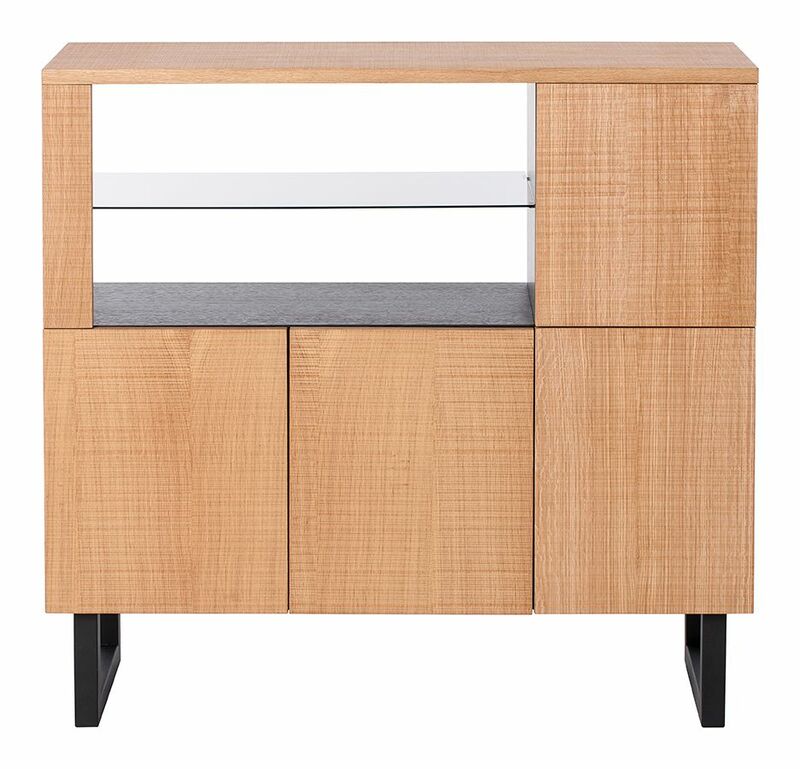 Made of solid oak and oak veneer with a textured rough cut surface. Cabinets feature charcoal stained interiors and push to open doors. Finished in blonde oil with black powder coated steel legs. The Infinito cabinets feature a rough cut oak surface finished in natural blonde oil and designed to show off the true characteristics of the wood . All cabinets feature push to open doors.